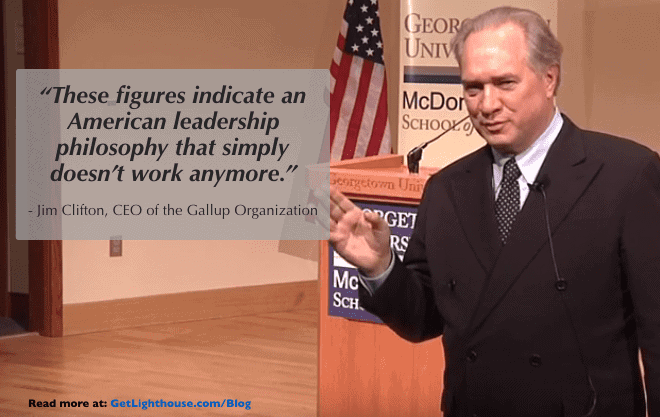 Last week, Gallup released its State of the American Workplace study (read it here). This is yet another of their comprehensive looks at what really motivates and engages employees. As we’ve done in the past for Gallup’s State of the American Manager, Deloitte’s Study of Millennials, and others, we’ve pulled out some of the essential takeaways you should know for your teams and companies. The hard thing about soft skills is how difficult and imprecise they can be to measure. Fortunately, Gallup has been surveying managers and employees for decades. They’ve got it down to a science, and they annually report on those findings. The State of the American Workplace represents over 31 million response from 195,600 employees over the last 2 years. Here’s some of the most interesting takeaways we found in reviewing it. The trend is slightly up from the Great Recession, but when 2 out of 3 people are still mailing it in, or are fully disengaged at work, there’s nothing to be celebrating. The fact that they’re all poor makes sense. Without strong communication, it’s not surprising a path for the organization isn’t clear, which then makes enthusiasm for the future unlikely. This message is the centerpiece of Gallup’s report. Many employees are ready to move on. If you’re worried someone on your team is looking for another job, Gallup’s data gives you many reasons to think they probably are. Remember: You have to act now. By the time they have an offer it’s too late. This is likely an artifact of the Great Recession, where people often took jobs they were overqualified for, because they really needed a job. However, it’s also a case of people being in the same job for too long. When you have the same job and responsibilities for too long, it’s easy to grow bored, and feel overqualified. 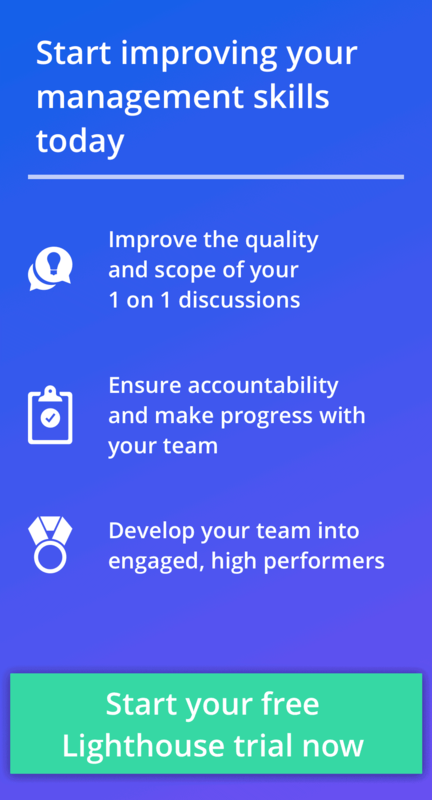 All to often, this happens on teams where managers take their team for granted, and don’t realize just how long some people have been doing exactly the same thing. Even if you can’t promote your people, there are a lot of things you can do to help them grow. You can learn a variety of approaches to doing so in our post on “How to Grow Your People When You Can’t Promote them” here. 2) Growth is important to everyone, but especially Millennials. As you can see in the chart below, Millennials are very concerned with the trajectory of their careers. Are you helping them grow? Are you talking about their growth path? If not, we can see clearly that they’re probably seeking growth opportunities at another company. If you’re not involved in the process of setting your goals, what are the odds they align with ways you’d like to grow? As leaders, these goals conversations should be easy. Most employees want to help their company succeed, and with just a few tweaks and a little input, they can feel increased input and strong alignment between what you need and their goals. This time around, Gallup went beyond just engagement. They also expanded to look at why people leave jobs, and what attracts them to their next one in the State of the American Workplace report. 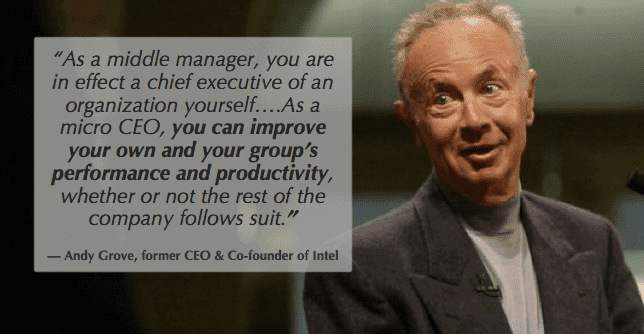 We’ve heard these kinds of concepts before, and so many of them are why people leave managers, not companies. 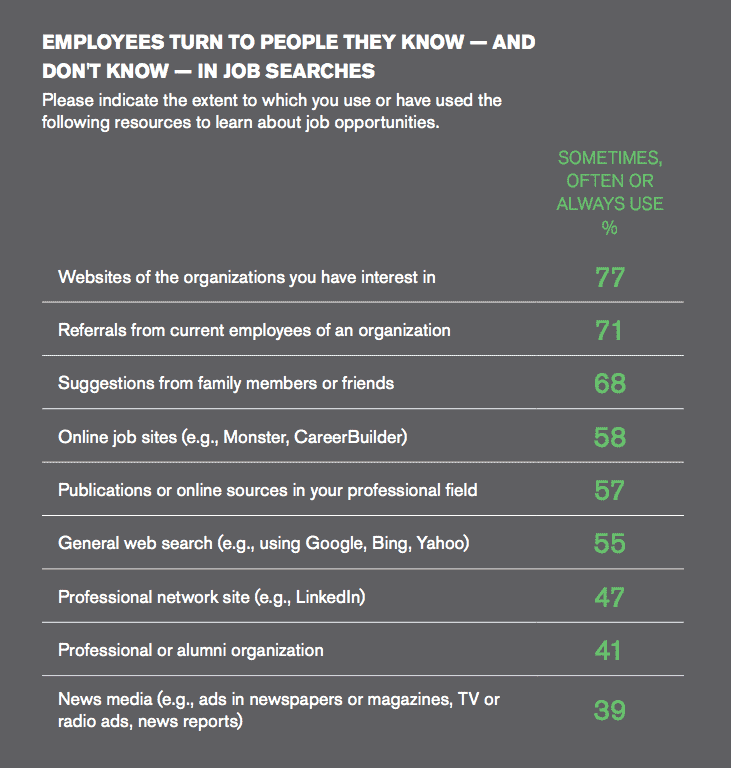 How well are you adapting to the new way people search for jobs? While professional organizations and news media are falling, and internet options rise, the highest yield are surprisingly low tech. Checking out your company’s website to learn about you: What impression does your site give? 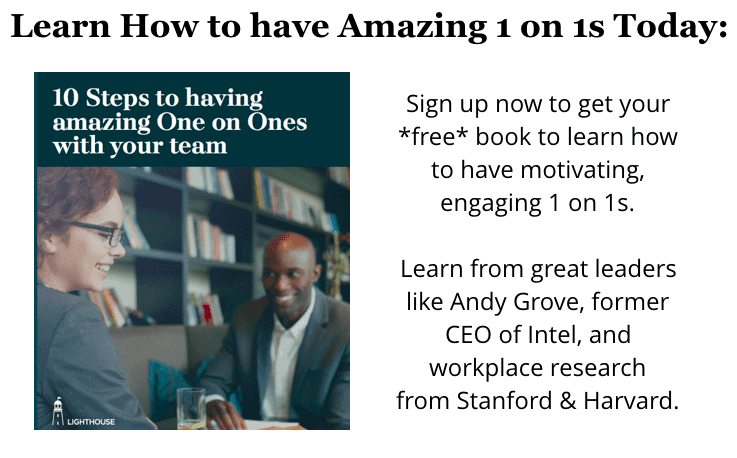 Talking to current employees at your company: If your engagement scores are low, that’s a lot of people that may actually discourage people from working there. Talking to their friends and family: Who is more likely to give you an honest evaluation, or a strong sell if they’re happy? If you have trouble recruiting, ask yourself if how you treat your current employees might be a major part of why. There’s a lot more in this massive, 214 page study, like an in depth look at perks employees want most, how performance management is evolving, and Gallup’s 12 Elements survey that are the keys to engagement, so we highly recommend you go check out the full State of the American Workplace report here. Also, Lighthouse friend, Mark Crowley has written up his own insights you can read here. You can also read our takeaways from Gallup’s State of the American Manager report from 2014 here, and from Gallup’s book on what great managers do differently here. What was the most interesting insight for you in Gallup’s latest research? Leave a comment with your thoughts.